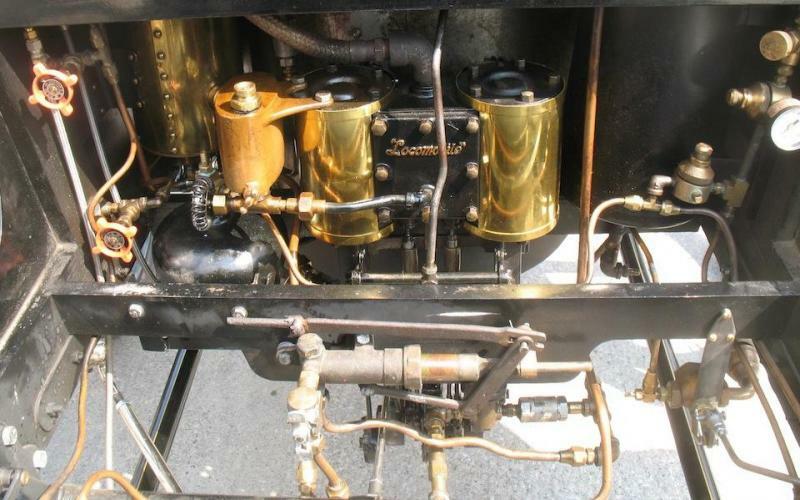 Hello Everyone, I thought I would open a specific chat location for Locomobile steam enthusiasts to gather for chatting, references, parts acquisitions both buying and selling. It would also be nice to share ideas, things learned to do and not do as well as information directly relevant to the early Locomobile steam car. If you have something to say, or have parts being duplicated, or need parts duplicated, visit here and speak up. Nothing ever happens unless we make it happen! Here is my first question. Does anyone have an accurate count of Locomobile Steam cars. I am not sure that the HCCA or even the AACA has an accurate count. Here is my second question. 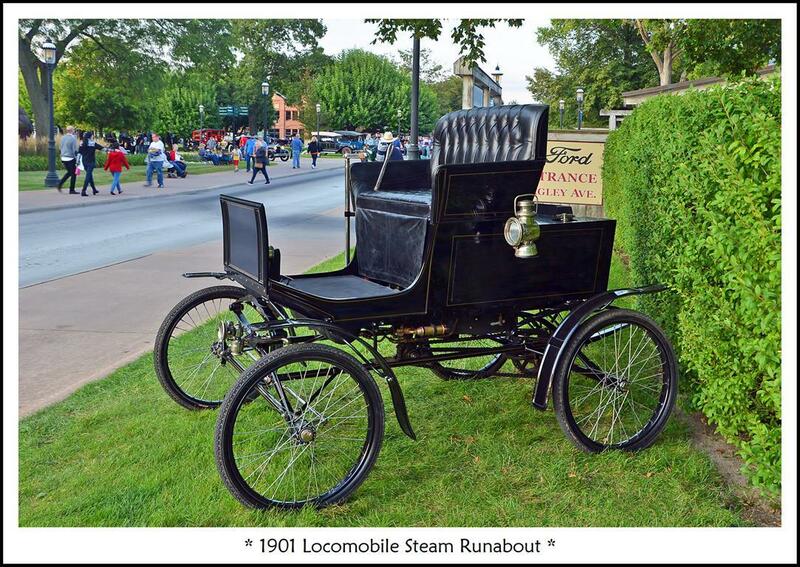 When did Locmoobile stop production of the steam car. I would hope that the historians among us have that date naile3d down to a very exact Month and Day. Note: For general steam questions and inquiries please note and use the already existing Steam forum found elsewhere in this AACA forum site. I have researched early Locomobile steamers quite a bit. Number produced, high 4000's, The last known (to me) serial number is around 4750. I've never seen a serial number in the 5000's for steam. When did they stop steam? 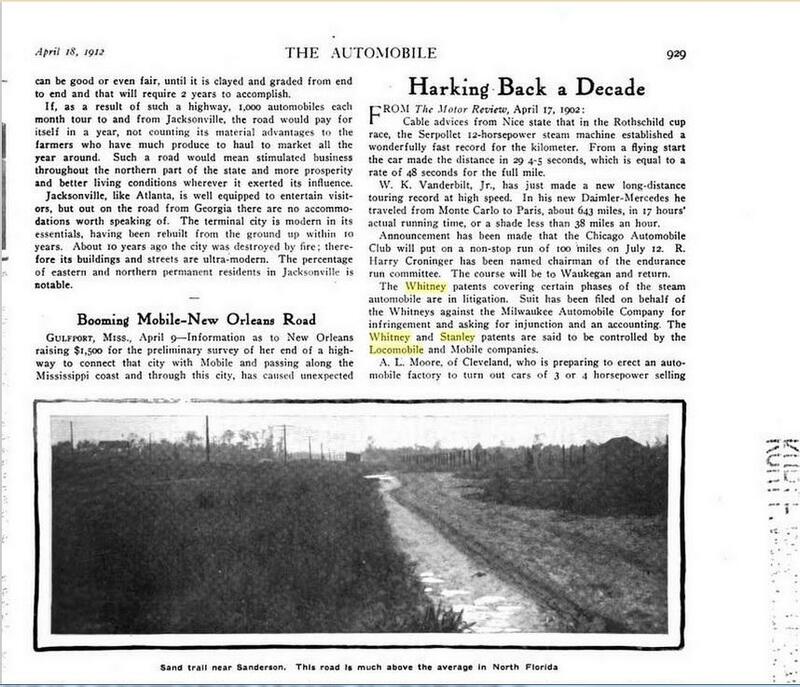 Supposedly 1904, it wasn't an abrupt stop and then on to the gas engines , judging by the ads they started the transition offering gas engine cars in mid 1903 and in those ads they offered both steam and gas engine cars. However 1904 was pretty much the end of it. They built the majority of their steamers in 1900 and 1901 ending with serial numbers in the high 3000's (mine is 3635), 1902 -1904 they produced around a thousand more it looks like. 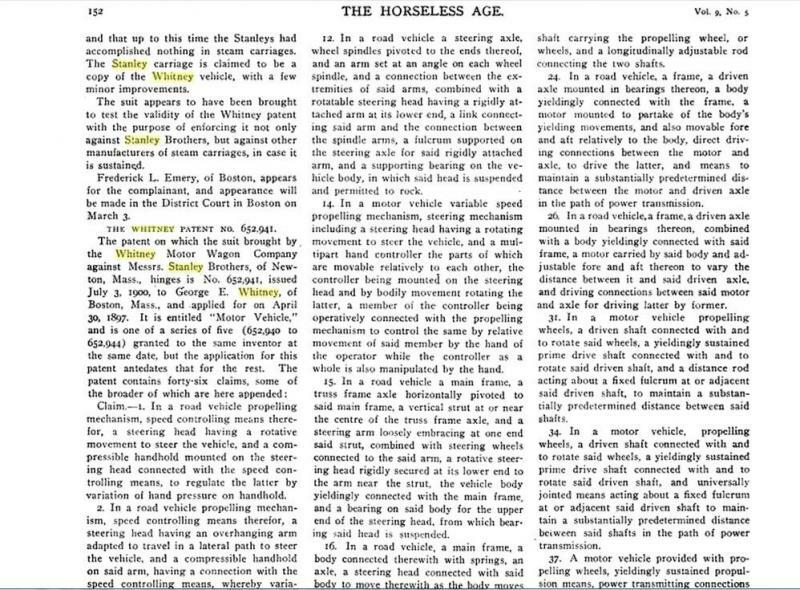 My theory is the market became flooded in 1901 with steamers as there were a bunch of start ups and patent lawsuits were flying, and they simply did not get many orders, coupled with the invasion of gas engine models - Oldsmobile especially which reportedly could "Go up a hill faster than a horse with his tail on fire".. advertising . They realized they had to switch to gas engines or go under. Again, my theory. Quite frankly I don't think there really is such a thing as an 1899 Locomobile other than the classification, of the few hundred supposedly produced, they were actually built in 1900, Locomobile didn't incorporate until Nov 14, 1899, that doesn't leave much time to set up manufacturing. Few, if any were built in 99, again my theory. Many of the "1899" Locos I see around the web are either altered or not true 1899 models. A quick cursory look will usually substantiate that, side tillers etc. 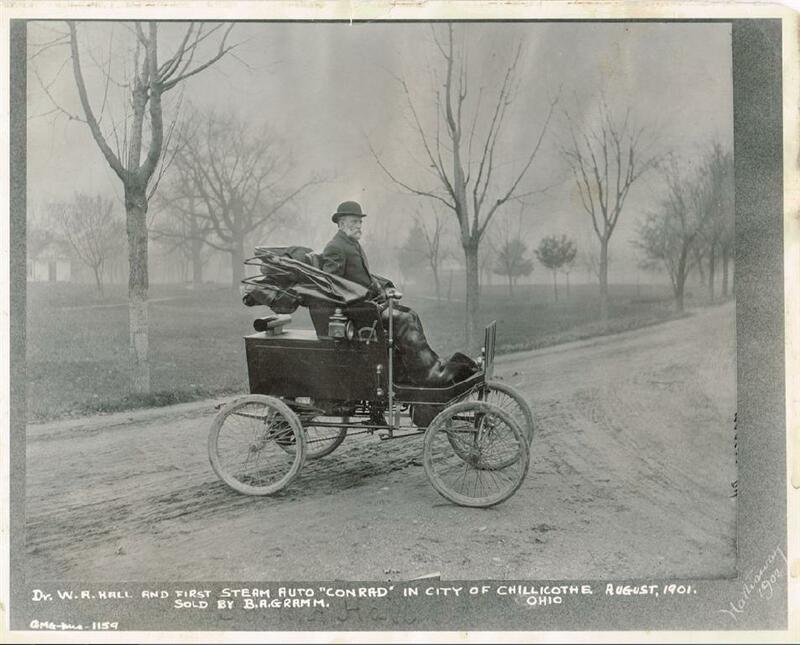 Also, Mobile steamer (john B Walker that left Locomobile) continued to build vehicles based on the 1899 model for a few years which causes a lot of identification confusion. Many folks think the Locomobile steamer was a Stanley, that is not so. It's a long story, but the Locomobile was actually a Whitney Motorette, designed built and patented by George Eli Whitney. He sued several people, the Stanleys twice for infringement and won every suit. So the courts were using the facts of the day to prove the cases, and there is public record, so I'll go along with that. Thanks for the information. I had thought that the rights for the Locomobile was purchased from Stanley? Is that incorrect? Could you post a picture of your Steamer? Al, I also was under the impression that the Stanley twins sold their patents to Locomobile. 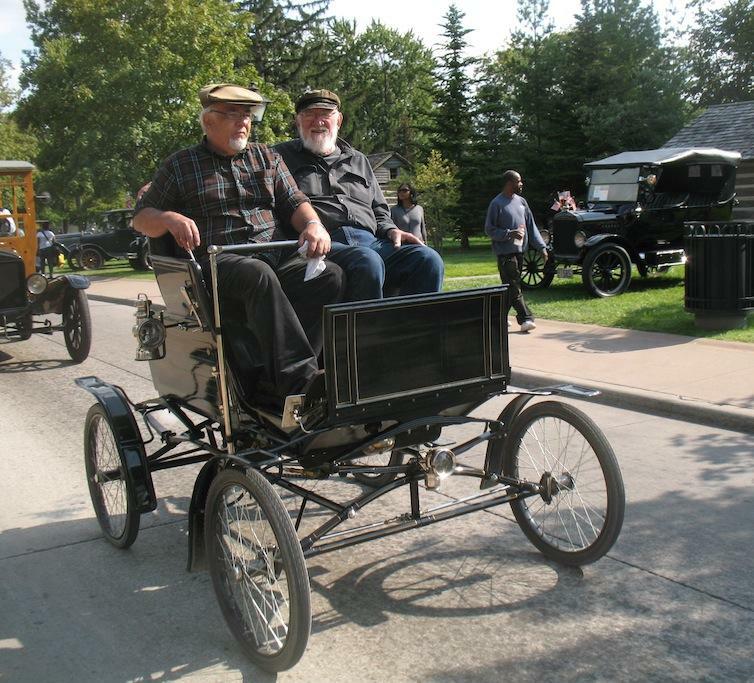 In addition, when Stanley decided to get back in the steam car business around 1903 their first model was their earlier vertical engine with a chain to the rear axle. 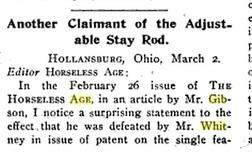 Since this was a direct infringement on the patents sold to Locomabile, Stanley was immediately sued by Locomobile. Stanley didn't fight the lawsuit, instead redesigning their car by mounting the engine directky on the rear axle. It was this major design change that caused Locomobile and others using a chain to drive the rear axle to rethink their future. Ron, please enlighten us as to this interesting history..
Background on Geo Eli Whitney, Boston Tech graduate (MIT), with extensive steam experience designing and building steamboats and steam power plants, incidentally testing one of his boats, he met Sylvester Roper and was hired by same and worked for him for a period of time. George grew up working in his Uncles Amos Whitney's machine shop, uncle Amos went on to form Pratt and Whitney. George as a young teenager built a scale locomotive under his uncles tutelage. He is also the Great grandson of famed inventor Eli Whitney. George had a machine shop in Boston. Probably by inspiration from Roper who built steam cars and steam bikes earlier, George set out to build his own steam vehicles of which he built several, the "Motorette" was his breakthrough design that ran the best and changed everything. While working in his shop he had many folks that would come by and watch his progress, many would hang around all day - every day, including the Stanley twins, one or both. One guy showed up named Charles DP Gibson and had some ideas about building his own car but had no place to build it. "Whit" as people called him, allowed him to build his car there. Gibson was a afraid people were going to steal his ideas, so he curtained off one corner of the shop and wouldn't allow anyone in there. 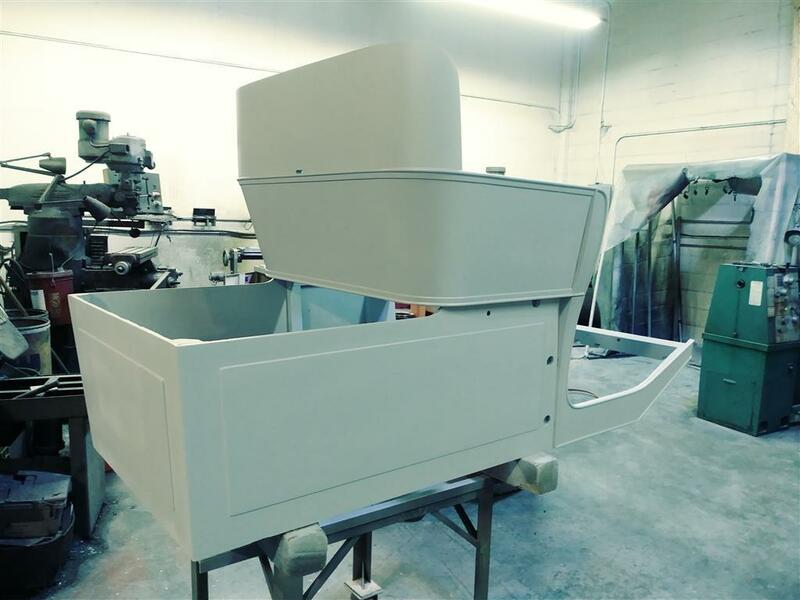 After a few weeks of clanging and banging, he stepped out from behind the curtain wiping his hands and admitted his car would never run and immediately offered to buy Whitney's motorette which was almost completed. Whitney shot him a ridiculous price of $25.000. To Whitney's surprise, Gibson bought it. Whitney helped him to get the car home. 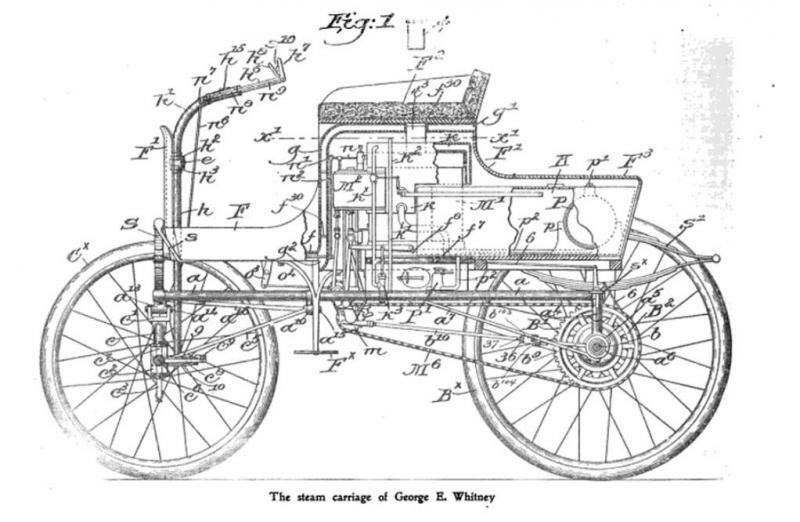 Gibson immediately disassembled the car, made drawings and filed for patent on the design of the car, Whitney filed for patent right after and then turned around and sued Gibson for stealing his design. Whitney won the lawsuit as he had many witnesses to corroborate the events. He won the lawsuit and 40,000 , but lost his wife to Gibson's attorney. Then he had to pay her half of the suit he had just been awarded. Whitney took another motorette design that he built for GB Upham , a Boston Attorney to "Mechanics Building, Boston" for an expose'. The Stanley's showed up and while the car was stored in a building, they went in and photographed every aspect of the car (they owned Eastman Kodak and were very familiar with cameras and photography). They went back and immediately began building a steamer from the information they had gleaned. 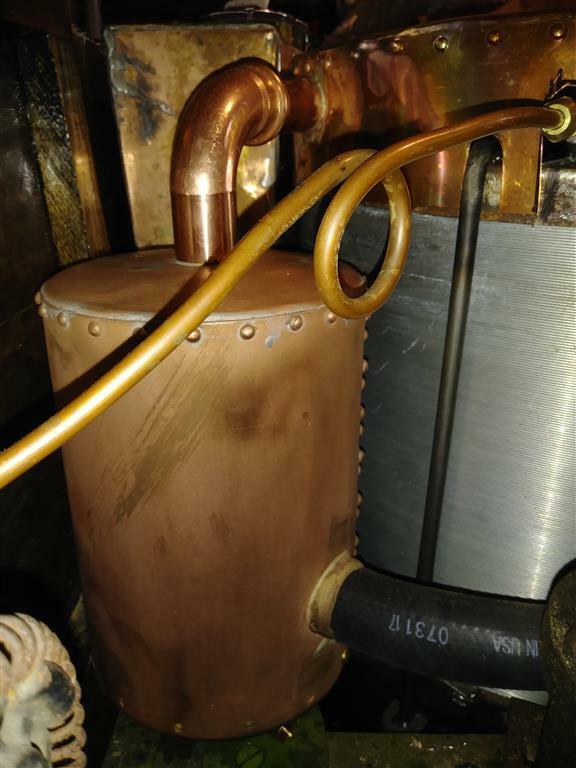 They made some changes like wire winding the boiler for higher pressure, and they patented everything they could, essentially refinements to Whitney's steam system. 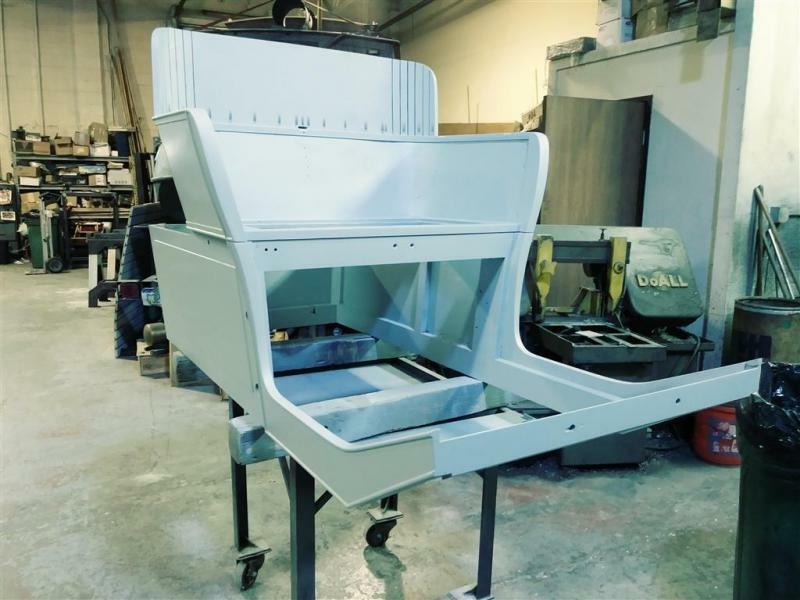 They showed up to the next show at Charles River park, Boston and with 100 pounds higher steam pressure outran everyone in every aspect, they immediately received 200 orders for their car. They only built two or three reportedly "crude" vehicles that looked almost identical to the Motorette, and had parts for another few hundred when John B Walker showed up and offered to buy their automobile business. They allegedly shot him a price of 250,000 dollars, but Walker didn't have that sort of money, so he put out a plea for investor's which attracted the attention of Anzi Barber, the "Asphalt King", he was paving the streets in cities in the northeast and was a millionaire. 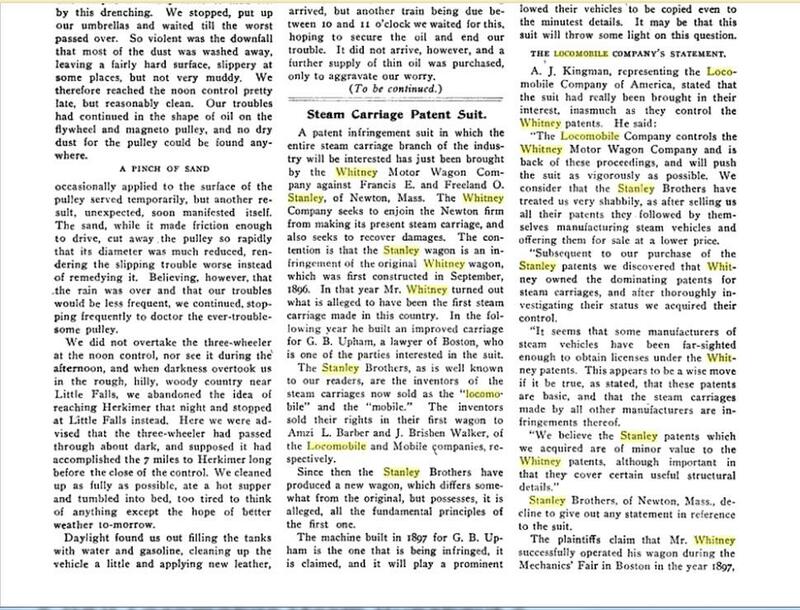 They acquired the Stanley's automobile business consisting of a few hundred orders and the parts for around 200 cars and the few patents they had, and Whitney went to work for Locomobile as design consultant and that is when the Locomobile design, refined and polished as we know it today was produced. 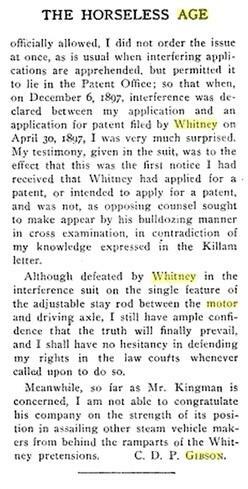 The Whitney patent was granted in 1901 and they turned around and sued the Stanley's because the Stanleys sold them rights to something they didn't own the dominant patent on the vehicle applied for by and now held by Whitney and themselves. 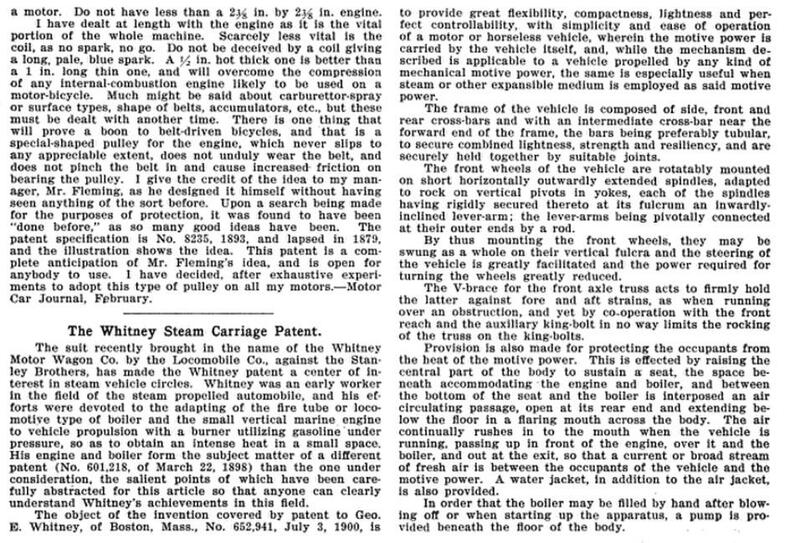 Around 1903 the Stanley's began building steamers again with a car that would get around the Whitney patent, but they used the chain drive with adjustable chain stretcher strut and got sued again and that is how the engine wound up on the rear axle and using gears instead of a chain. Eventually, around 1904 Locomobile transitioned away from steam. Whitney left Locomobile in 1905 and went on to design and patent asphalt paving equipment for Barber. The Stanleys continued on building steamers that avoided the Whitney patents. It's a subject of lore that the Stanleys bought the patents back from Locomobile, but I've never found anything to corroborate that, and logically, why would they? Even Whitney admitted in later years, the Stanley had evolved in to a far superior design. Locomobile at this time had license from Whitney to build the car on his patent, and they proceeded to issue quitclaims to others building on their design or else. Mobile, Milwaukee etc. And why I believe the almost 70 steam car companies closed up shop then or very soon after. Whitney went to England and licensed Brown's to build his steamer over there. This is based on handwritten letters from Whitney that appear in the book "Early steam car pioneers" by John Bacon. 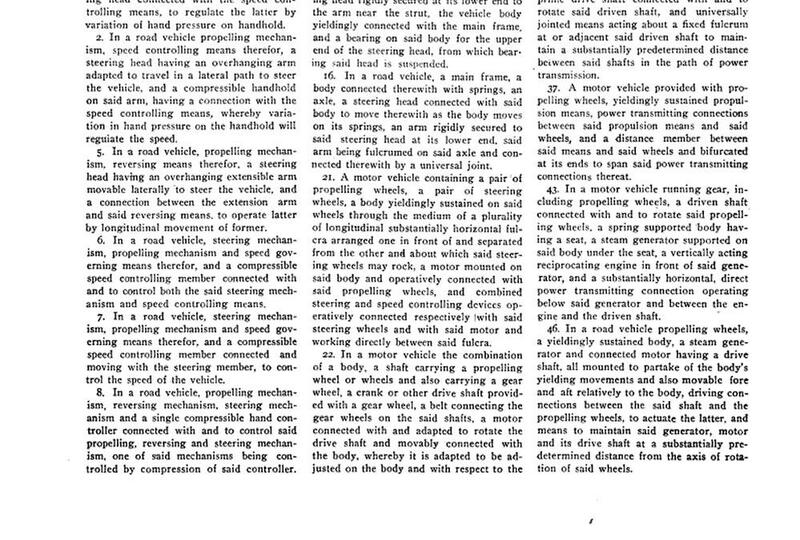 And magazine articles in the 1900 - 1903 "Horseless age" and "Motor review". 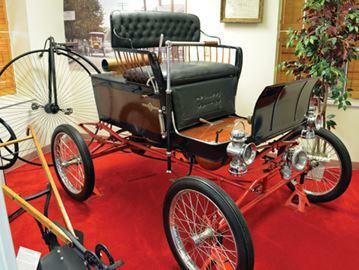 Whitney's obituary states that he sold his steam car business to Locomobile for 250 thousand. If one looks at all the evidence, it's clear to see that the Locomobile was really the Whitney Motorette. I'll post some of the clippings. Here are a few pictures of my 1901 Loco. As many of these are it's a rebuilt car. Thanks so much for your contribution. I am going to reread several times and digest what you have researched as most of what I thought I knew I now see is wives tales! I would bet that those competitors were very zealous to come up with a good idea and then go to great lengths to carry the idea to the consumer. Did you run across any other good and novel information that involved the interaction between early steam companies? Did White end up in litigation? Yes, it looks as though it was a very tumultuous period of about ten years. I'm not sure about White other than their 02 etc offerings were very similar to the Locomobile, and after that they transitioned to the design we see most common today, mid mounted boiler, engine out front, conventional drive train. 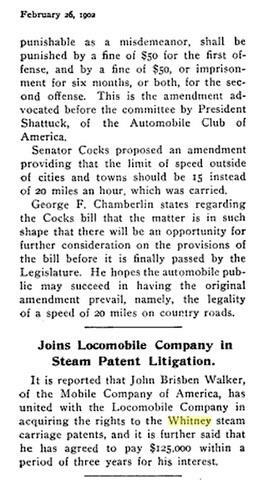 Of course, they went on to offer steam and gas engine vehicles together for a few years like Locomobile did. This goes along with what I was inferring above, seems the whole game changed for the early steamer about 1902 and up, most companies either switched over to internal combustion, folded up, went bankrupt or radically changed their design to get around the Whitney patents. Keep in mind, I'm no final authority on the subject, just relating what I've come up with. I love history and especially history concerning these little steamers and the more I would read, the more Whitney's name popped up. There are some books written 30-40 years after that period that really only focus on two players, the Stanleys and the Locomobile partners, but there is little to no mention of Whitney. I think this is where most of the confusion has arisen from. This is how I see it. The Locomobile was the first mass produced vehicle in the US, they produced around 3000 cars before Ransom Olds came to market in 1901. Take it one step further back and the Whitney motorette is the car that began it all. Allegedly, the very first Motorette sold to Charles DP Gibson is in the UK and is/was for sale for 300k. I personally feel this is the most important US vehicle ever produced, it launched the US automotive industry. Your interest in history is also a thing that I get fascinated with. Early on, did Locomobile build all of the components for the steam carriages or did they purchase some select pieces from other vendors? Do you have a picture of the Charles DP Gibson steamer? I would like to see the oldest steamer. As I understand it, they purchased everything on the outside at first and just assembled it. They used the Mason engine for the 1899 and early 1900, which incidentally was designed by Whitney for Mason Regulator (yeah, that guy again). The bodies were all built by Currier and Cameron in Amesbury, Mass. 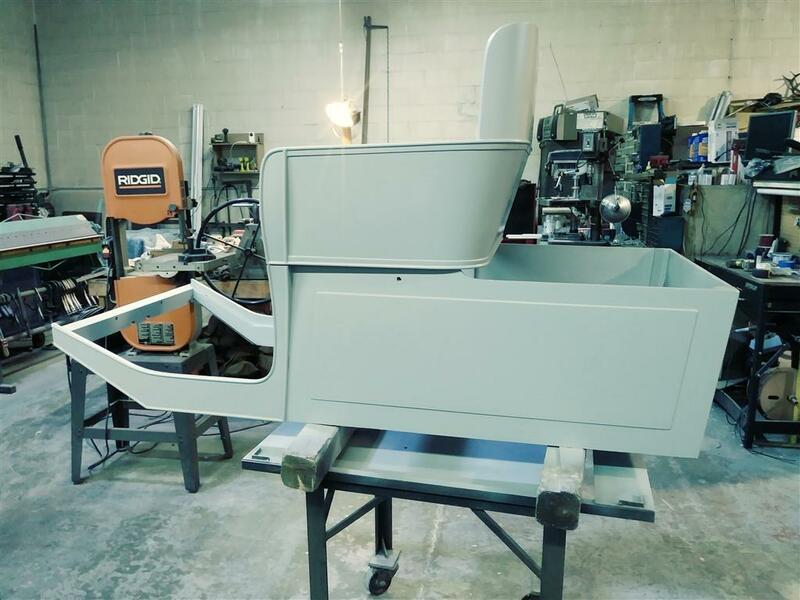 Currier and Cameron was a huge coach builder that built bodies for several car companies - Locomobile and later Stanley and I think grout and/or Coats?. Reportedly, some bodies were built by other coach works (Shields) as well and why some of the bodies differ one to another for the same model. I don't think Locomobile ever had their own coach works. They did start building their own engine in 1900. That is why there is so many of them Mason engines around, they sold engines to a lot of builders. That was pretty much the technique that everyone used. Some, like Conrad in Buffalo NY, they did build most of their own components, and matter of fact sold components, casting, bodies, running gear, engines etc to other car companies and even DIY folks. One company they sold to was the Neff steamer in Canada across the river (only one survives in a museum in Canada). I think they were the supplier for the Coffin steamer as well. I'm currently restoring a 1901 Model 65 Conrad ser# 149, as far as we know it is the last one known to exist. 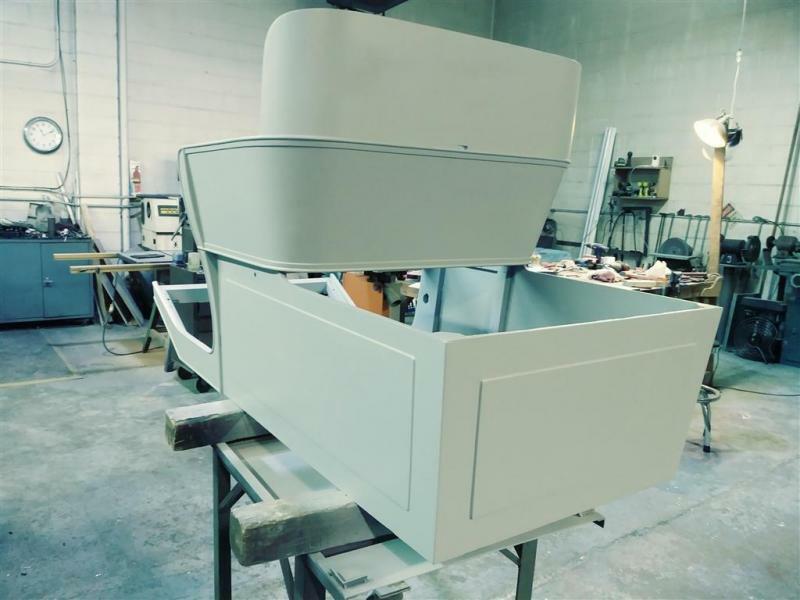 There are only three known of and the other two are model 70 Dos-a-dos, one in Ohio in a museum and the other in Denmark in a museum, the Denmark folks have been most helpful with our project, providing us with common detail information. We've already driven it, it's apart now for paint and finish work. It's a difficult project as there is little historical info available, all we really have is what was left of the original and two very old photographs. One taken in Australia and the other in Ohio. The Australian pic is a 1902 model 65. Conrad filed for bankruptcy in 1902 after the owner died. 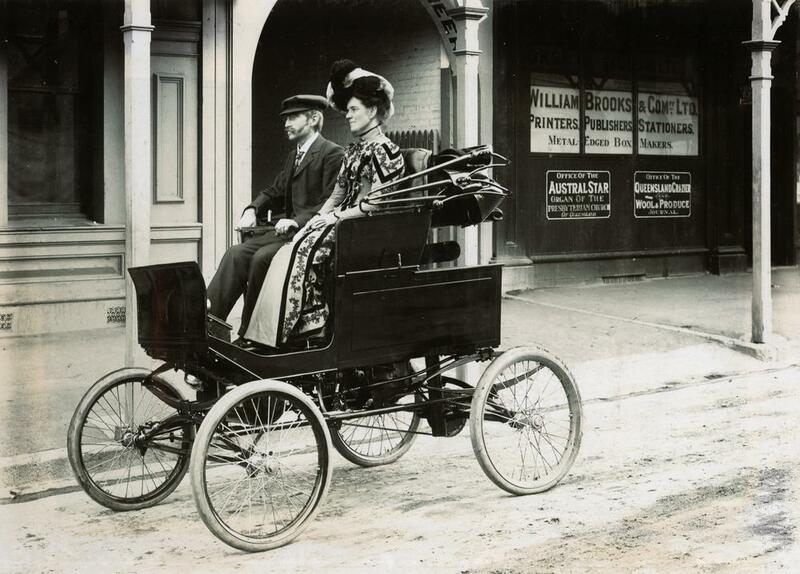 That Australian Conrad is an interesting story they were calling it a Locomobile by the historical society, and the man that bought it back then, the man driving it, copied it and started building a steamer in Australia and it never sold very well. The Locomobile chassis components or completed components were bought from another company as well, it was something like "Woods", I can't remember. Where they got the boilers, I have no idea. The red carpet museum pic is the Neff. The green body is the Denmark Conrad 70. Here is the video of the Whitney Motorette: She needs to come home. On interesting feature was all the control is in the single tiller. Twisting it worked the throttle, lifting it shifted the valves to forward, pulling it down shifted to reverse and of course left and right was steering. Strange that they originally though it was an Ofledt steamer, that is whole nuther big bunch of history. They wound up selling their steam systems as steam cleaners after the steam car era was over and marketed the "Steam Jenny" named after the advertising agents daughter. Steam Jenny company is still around today. I was told that the first woman to buy and drive a car in the USA and recieve a drivers license was a spindle Loco, 1901 if a I am not mistaken, is that correct? Ron, your information is very interesting and I am still trying to absorb it. Is there a Locomobile roster keeper for the steamers ? Two years ago I went to see and buy a rough banded Locomobile engine. Can't remember the specific serial number but it was above 5000, maybe 5200 something or 5300 something. While there I got offered another, better piece of candy and I forgot all about the Locomobile engine. I completely agree with Ron that the vast majority of 1899s, aren't. And yes, when I someday get my own Locomobile, I too will call it an 1899. F.O. Stanley said he could not engage in the manufacture for one year, from May 1, 1899. 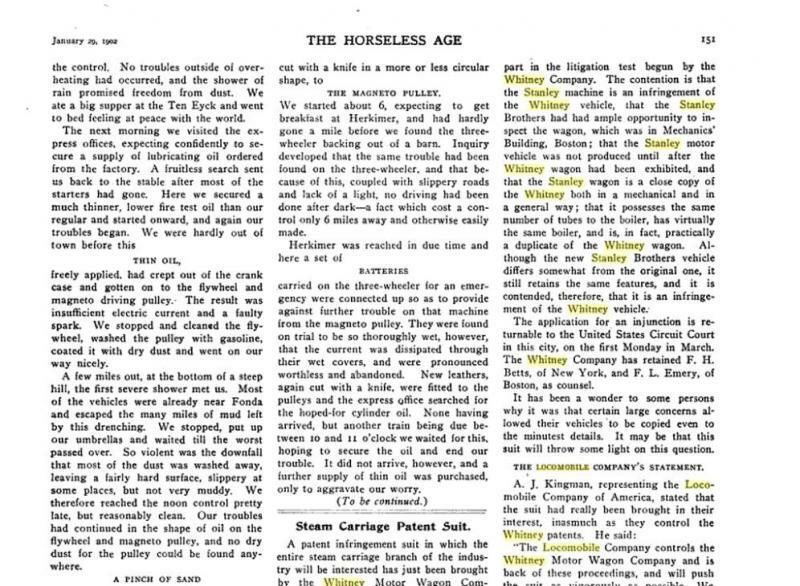 The Horseless Age magazine said in their June 7 edition that "Stanley Bros, Sold out"
Initially the new car company was supposed to be the Automobile Company of America but it was soon found out that that name was already taken. Don Ball's book the Locomobile Genealogy book said 350 Locomobiles were made in 1899. 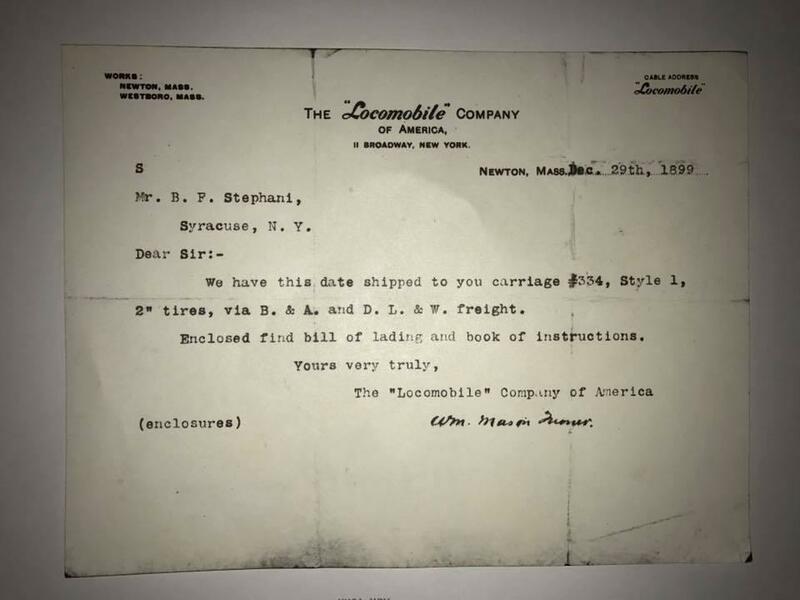 Nice comments on Locomobile Steamers and a very interesting factory letter from 1899 regarding #334 being shipped on Dec. 29, 1899. Does any one else have other complimentary information on the true story of the 1988 Locomobile? Two years ago I went to see and buy a rough banded Locomobile engine. Can't remember the specific serial number but it was above 5000, maybe 5200 something or 5300 something. While there I got offered another, better piece of candy and I forgot all about the Locomobile engine."" That is interesting, that is the first after years of research of hearing of a serial number that high. Initially the new car company was supposed to be the Automobile Company of America but it was soon found out that that name was already taken."" The Stanley steamer books are where a lot of the confusion on the early history is coming from, these books were written many years after the actual events. The point I was trying to make is I believe by the clippings I posted above, the early Stanley of which they only built a few (The Don Ball book states that also) before selling the automobile business, was actually a Whitney motorette that they had copied. 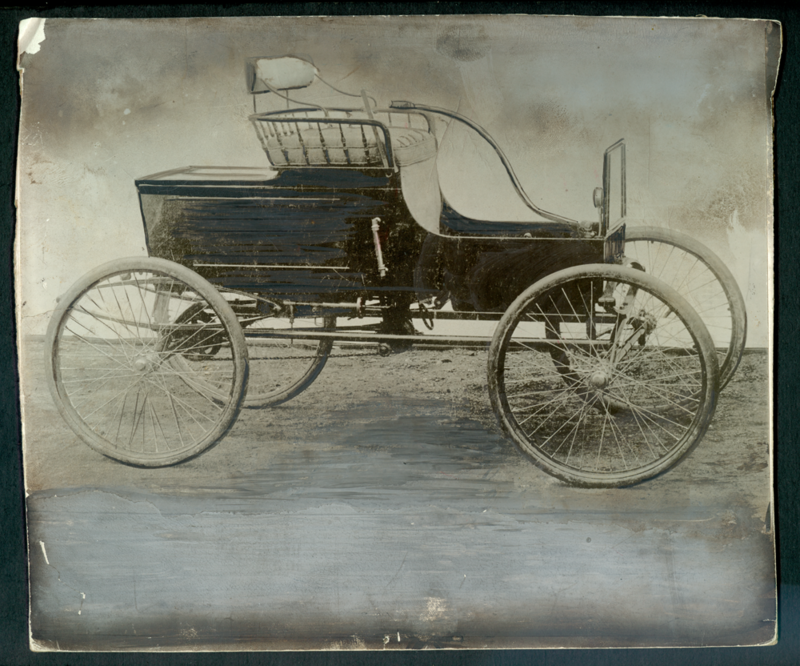 Also, the 1899 Locomobile Style 1 is glaringly different from the early Stanley pictures showing that it underwent an immediate transformation and this is mentioned in the clippings I posted above. -The Stanleys copied it by photograph at Mechanics Park, at the protest of Whitney. 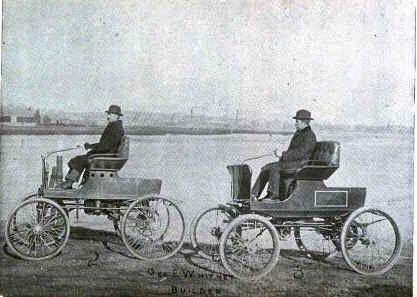 -The Stanleys built one and took it to Charles river park, where they received about 200 orders for the car. 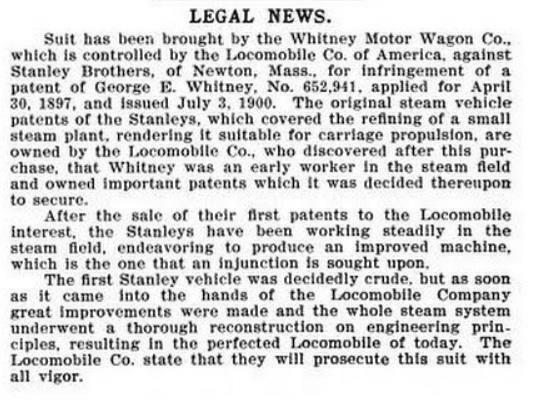 Yes, that letter which I've never seen before, does prove that Locomobile was shipping 1899's, thanks for that, but that is not really what I was trying to point out, again that the early few Stanley cars built were actually a Whitney. Pick up a copy of American Steam car pioneers by John Bacon, and read the Whitney handwritten letters. Then have a look at the clippings I posted above which corroborate what he wrote. The 5000+ serial number you mentioned, if you get a chance, try to get a picture of that. I was thinking about it today, that could possibly be a replacement engine they sent out with a higher chronological serial number. They were in business many years after the steam production and undoubtedly sold replacement parts. Those little engines are not easy to work on, the crankshaft is very difficult to get apart. I wound up making a whole new crankshaft and eccentrics for mine. In that letter it says delivery via B&A, looks as though that was Baltimore and Annapolis Railroad. years of operation 1887-1980. Just looked up the book you talk about. That's one I've seen but never bought. I always thought it was just a picture book but I think I know where I can get a copy. The high serial numbered Locomobile engine is a few hours away. Would like to go back there but I don't have any immediate plans. Rebuilding it would have been a big undertaking as it was missing parts and the frame was damaged. 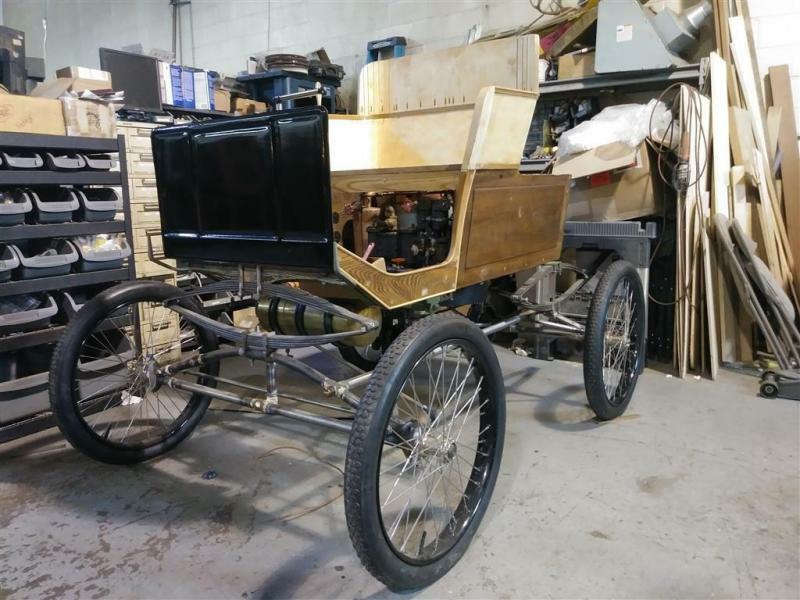 1901 Locomobile, 1901 Conrad, so what's next? Yeah that is a good book, take the time to decipher the Whitney handwritten letters, lots of great info in there. What's next? I have to finish the Conrad first, man what a project that has been, I'm pretty sure most wouldn't even have attempted it. but I'm doing paint prep on it now. I'll post some before and where it is shots. The chassis is was in a barn fire (rusty tangled tubing pics) and had to be totally rebuilt by salvaging (heating straightening and machining out old tube)the frame joints and rebrazing in cromoly tubing. the seat was gone and had to be rebuilt using the photographs as reference. Pics of how I made a new end for the draglink. Had to make a new copper water tank and muffler and plenum. Anywho, had this not been done this little carriage would have been lost to history. It is the last Model 65 known to exist. Fantastic dedication to bring back a lost vehicle...........impressive workmanship...........congratulations on preserving the car! I have been away at the Bakersfield Swap Meet. I did see a nice running early teens Stanley. Here is my question for the Locomobile steam experts here. What is the big differences between the runabout (two passenger) Locomobile steamers and the Surrey (four passenger versions. Is the boiler larger, different gearing? chassis just extended or is it a different chassis all together? I enjoy reading about the Locomobile steam cars.